This is one crazy-looking housing complex, and yet the logic behind the hivelike building is, well, just that: logical. 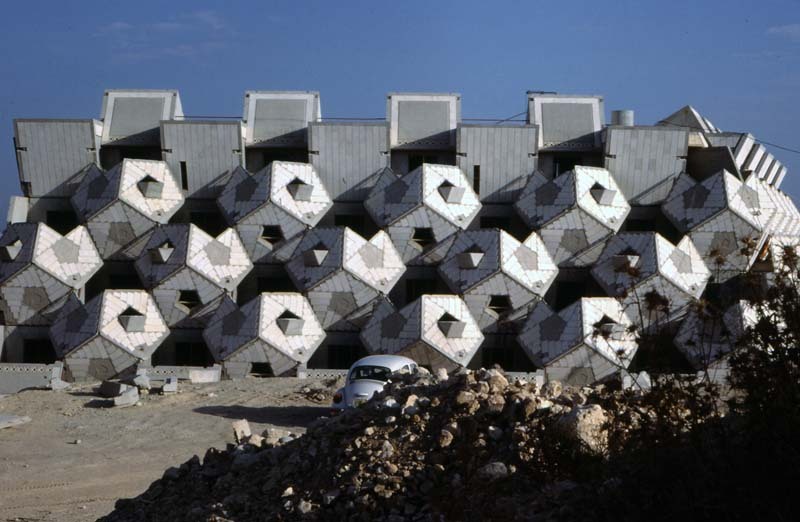 Completed in the 1970s, Ramot Polin housing project in Jerusalem was designed by Zvi Hecker. 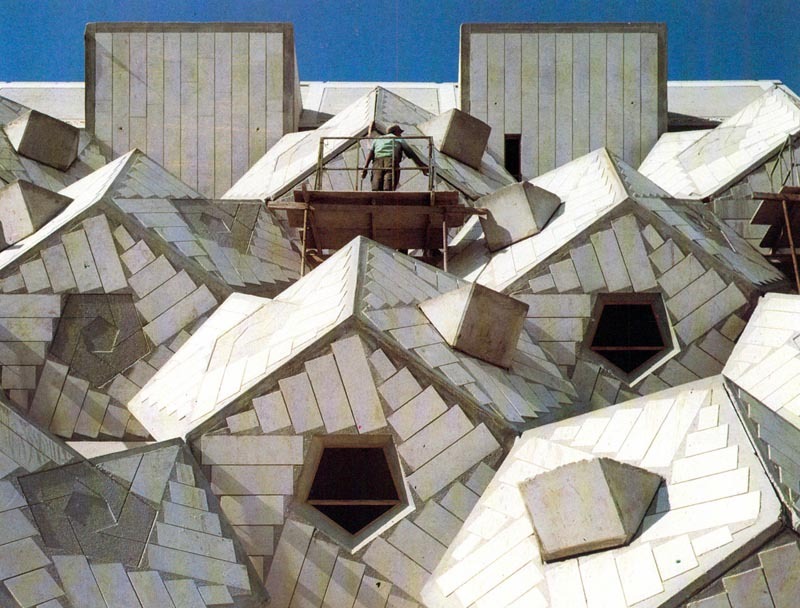 The Polish-born Israeli architect spent much of his career exploring cubes and dodecahedrons in his work. Hecker used the unique structure’s form to adapt to—as well as fit in with—the surrounding irregular terrain. By using the dodecahedrons and pentagon-shaped walls, he was able to enclose a large volume with less surface area; there’s a compactness to these units that makes them pack tightly and nicely together. Apparently, at this point (almost 40 years later) all of the 700+ original structures have been transformed to some degree, without a single one left in its originally designed state. Understandable, yet it would have been interesting to see. Top photo from domus. All others by the architect.